Offering a tailor made all-inclusive quality service, this luxury 5* resort has everything you need to have a top class golf holiday experience throughout your stay. 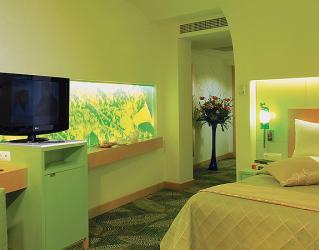 The resort offers 358 lively decorated standard rooms, family rooms, suites and villas to fit all demands. They are all equipped with LCD TV, telephone, internet, safety deposit box, minibar, hairdryer, bathtub and shower, bathrobe and slippers. 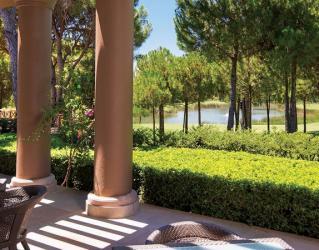 Guests receive easy access to the Cornelia Golf Club with a complimentary transfer service. Play on the beautiful 27-hole Nick Faldo Championship Golf Course during your stay. Breakfast, lunch and dinner are served in the Cornelius Restaurant all year. For the ones looking for a specific taste, the resort’s 6 A’la Carte restaurants offer various options. Cornelia De Luxe offers many different international restaurants including: Mediterranean, Turkish, Italian, Far East, French and BBQ. Room service is available 24 hours and may be subject to a service charge. The many bars found throughout the resort serve a variety of alcoholic and non-alcoholic beverages. Harmonia Lobby Bar has everything you need from hot drinks to refreshing cocktails. 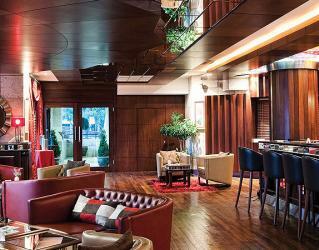 With its stylish and cosy atmosphere, Celestine Bar is a good place for a drink after a tiring day. Salmakis Bar offers special cocktails to sip while having fun at the night club. 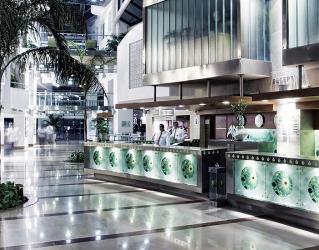 Citrus Bar at the SPA centre is a healthy bar, offering fresh fruit juices during the daytime. In the summer season, Hedera Bar serves local and import beverages across a mesmerising pool view. Daphne Bar and Restaurant is open 24 hours in the summer season to serve food and beverages while entertainment and activities go on around it. 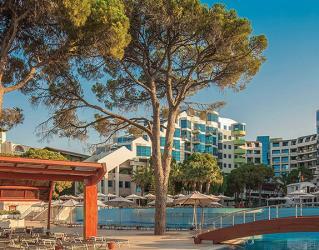 Near the swimming pool, Olea Bar offers energising drinks and cocktails. 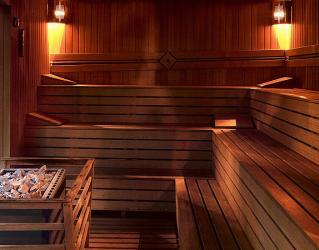 The CrassulaECO Spa offers the highest standards of quality while using only 100% certified organic products. 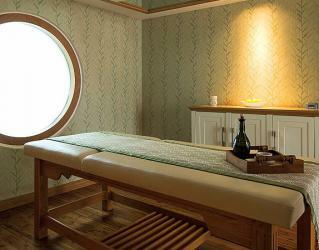 The chemical-free treatments are applied by the highly skilled therapists here for an ultimate relaxing experience. You can enjoy relaxing moments in the traditional Turkish Hammam, steam rooms, sauna and shock pool at the Relax section; freely used by all the hotel guests. At the Lounge section, you can pamper your body and soul with a wide variety of Spa treatments including massages such as Far East, Sultan Care, natural treatments and more. The daily activity options at the resort ensure that you will never get bored here. Archery, bowling, table tennis, boccia, play station, shuffleboard, water sports and more games will entertain you during the day. The daytime fitness courses such as zumba, aerobics, water gymnastics and stretching are a fun way to contribute to your health while on holiday. 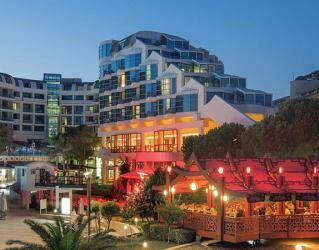 World famous shows, live music groups and indoor disco parties are the entertainment options in the evenings. Opened in 2006, The Faldo has varied dog legs and strategic options. There are around 75 bunkers and a total of 9 lakes. Make sure you get practice in before starting the course, in the large Driving Range with 80 bays. 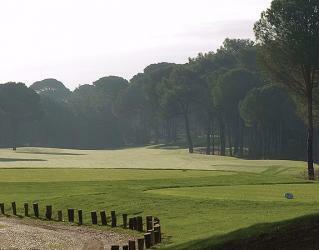 With a total distance of 9,554 meters, this would be a leisurely game of golf at one of Belek’s greatest golf courses. 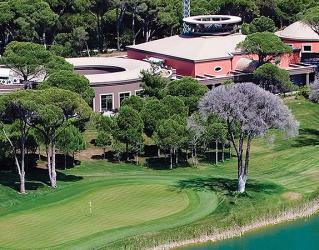 It is fast becoming one of the most popular courses in Belek with a reputation as a challenging, high quality test of golf that beckons more than one round. The course is a 27 hole facility providing three 18 hole options. the King, Queen and Prince courses provide challenges for any golfer. The club house is impressive, offering extensive services. Its main feature on the tougher nine holes is the abundance of challenging dog legs with scrub/waste areas off the fairway. It can be addictive, so more than 1 round is advised. David Leadbetter Golf Academies are a world wide network of premium golf instructional facilities, currently with sites in Europe, the USA and Asia. David Leadbetter’s teaching theories and philosophies, complemented by state-of-the-art technology, have revolutionised the game of golf for all ages and abilities. Creamer just to name a few. All lessons at the David Leadbetter Gold Academy Cornelia will be conducted using the latest teachıng software. At the end of your lesson you receive a DVD of your lesson. The DVD will include your original swings and the analysis which will be compared with a professional’s swing. The drills prescribed by your instructor will also be on your DVD and a final comparison of your original swing to your new swing. All golf schools are conducted in a group format with a maximum ratio of 4 : 1. With the ratio of 4 students to 1 instructor, each student will receive a fair amount of individual attention whilst also having time to perfect their individual drills that the instructor has prescribed them to practice. With four different schools we are sure you can find a school that suits your needs. * 6 hours of instruction, 3 hours per day. * Take home DVD analysis of your lessons. * 4 : 1 ratio student to instructor. * 12 hours of instruction. 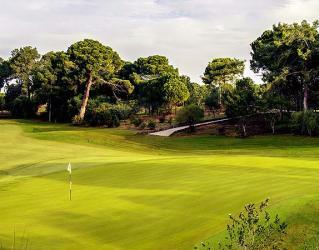 * Included in these 12 hours is a 2 hour playing lesson on the Faldo golf course. 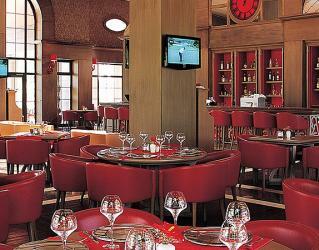 * Lunch at the Faldo restaurant is included both days. • 9 hours of instruction. • Take home DVD analysis of your lessons. • 4 : 1 ratio student to instructor. The programs cater for all levels of golfers from the complete beginner to whatever your ability is, just select a program that will complement your needs. There is a brief description of each program offered but if you have any questions please call our administrator and they can help you with any questions that you may have. Programs can also be tailor made to your specific requirements. We do have a special rate for juniors. The classification of a junior is 18 years of age and under but any junior under the age of 14 has to be accompanied by an adult, taking part in the golf school. We are now home after a most enjoyable golfing holiday in Turkey and I just wanted to thank you for booking it all for us. Everything went like clockwork and Bilyana always looks after us so well. There were no problems at all and we had a wonderful time. I will be in touch later in the year to book for next year!! we have finished our golf holiday in Belek on Saturday. We must say that our holiday was wonderful. Everything agreed with Bilyana worked on 100%. We are happy and satisfied. Thank very much you and the whole team of Bilyana. Would you please convey our sincere thanks to all at Bilyana Golf and also if possible would you also send our thanks to the management at the Cornelia deluxe hotel also. I am confident we will be seeing you all next year. Again a personal thank you, to you for your support and organisation. Now that we are all back to work and settled back into “routine” I wanted to send you a note to really thank you and Bilyana Travel for our fantastic golfing week in Turkey. The attention to detail stands out and we thoroughly enjoyed everything. 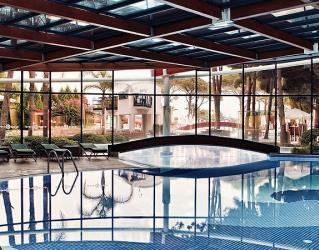 The Gloria Resort lived up to everything we had heard and the general consensus was we preferred this to the Cornelia. It was smaller but had better attention to detail. The rooms were a little smaller but we also liked that we could eat outside. The 5 courses we played were all in outstanding condition and all different - we loved the variety. know the service we received was not a one off because we had other friends come out the week after we were there and they had nothing but fantastic things to say about Bilyana. You may remember them as it was the group in which one of their players had a heart attack. They were full of praise for everything you did for their colleague. Just got back from our trip. Very impressed with Bilyana in all respects. Will definitely use you again. 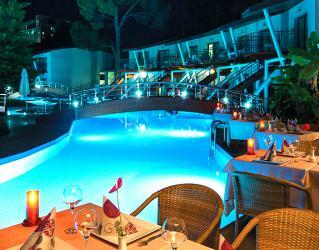 Have given Cornelia De Luxe a good review on Tripadvisor and also Bilyana as a Company to use. Thank you very much for your work in booking us a golf holiday in Turkey. I can honestly say that myself and my two playing partners were totally amazed at the standard of courses and the service we received whilst we were on holiday. 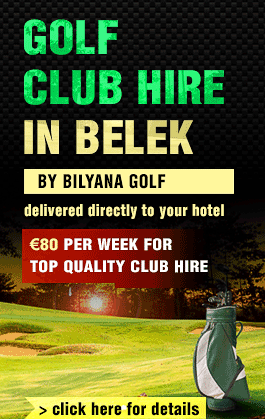 We know of a group of golfer’s who are looking for a golf holiday in Turkey and would have absolutely no hesitation in recommending Bilyana Golf to themselves. Thank you so much for introducing us to golf in Turkey. It has been a brilliant holiday experience both on and off the course for myself and my two playing partners. Thank you to everyone involved. We will be coming back this year or next for sure. We must thank you and you team for making our golfing holiday so fantastic and easy. 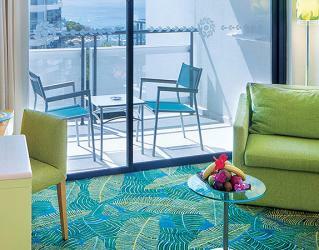 The Hotel Cornelia Deluxe and service was first class as were the Bilyana representatives. Pick up's from Airport to hotel and to and from the golf courses were always on time and the drivers so friendly. A special mention must be made regarding a touristic day to Perga and Antalay with your guide and hoast for the day Bedri. He is the most interesting person we met in our travels, immaculate in dress and manner and we are sure must be a fantastic asset to your company. We enjoyed our short stay in Turkey so much that we will be contacting you again in the not to distant future to make another booking for 2012. Marion and I will be at the Scottish Golf Open at Castle Stuart and hope that Bilyana will have a representative on site. Once again many thanks for making our holiday go like clockwork.